This entry was posted in Substance Abuse and tagged Adolescents, Misuse, Prescription Medication on September 27, 2016 by Team Addiction Hope. Parents in the U.S. have new worries when it comes to whether their teenage children have abused or will abuse drugs. While alcohol, marijuana, ecstasy and methamphetamine remains top concerns, parents might be overlooking dangerous substances that can come from right out of their own medicine cabinets. 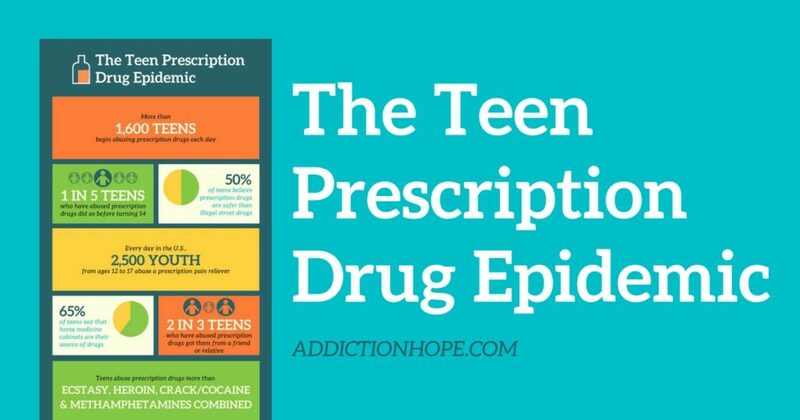 Recent data shows that many teens have experimented with or become addicted to prescription drugs. Such abuse has led to a worrisome epidemic in the U.S. over the past few years. Parents need to be vigilant about keeping these kinds of substances inaccessible to their teenage kids. 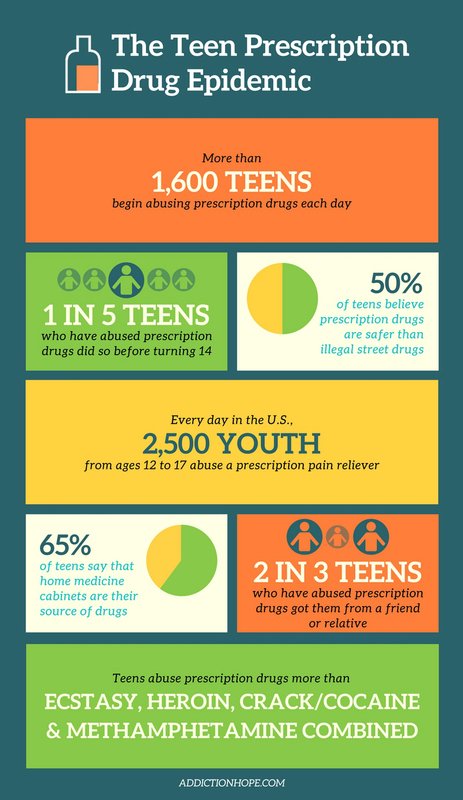 To get a clearer idea of the teen prescription drug epidemic, please peruse the following infographic we’ve created. After you’ve read through the statistics, feel free to download the infographic to your own device and then share it with your social media followers and email contacts. Doing so will help spread awareness of this growing domestic problem so we can begin to reverse its current course. If you have a teenager who is struggling with prescription drug abuse, please know that there are treatment centers all over the country that are prepared to address this type of addiction. Find a facility near you by using our Treatment Locator.